Normally, my online gaming jollies get fulfilled during our Friday Night Follies gaming sessions, where we all gather in my basement and play multiplayer games in the same room. Since we can all yell at each other to our hearts’ content, we don’t need headsets or microphones. Lately, I’ve been actually gaming a little more online, and the need for communication has become critical. Last year, I played a lot of Mass Effect 3 multiplayer, and noticed the lack of comms at the time, but didn’t do much about it. Now, though, games like The Division require well-crafted communications and control among players. So I’ve been looking at ways to communicate effectively online. The hardware question boils down to a simple question: headsets versus standalone speakers and microphones. 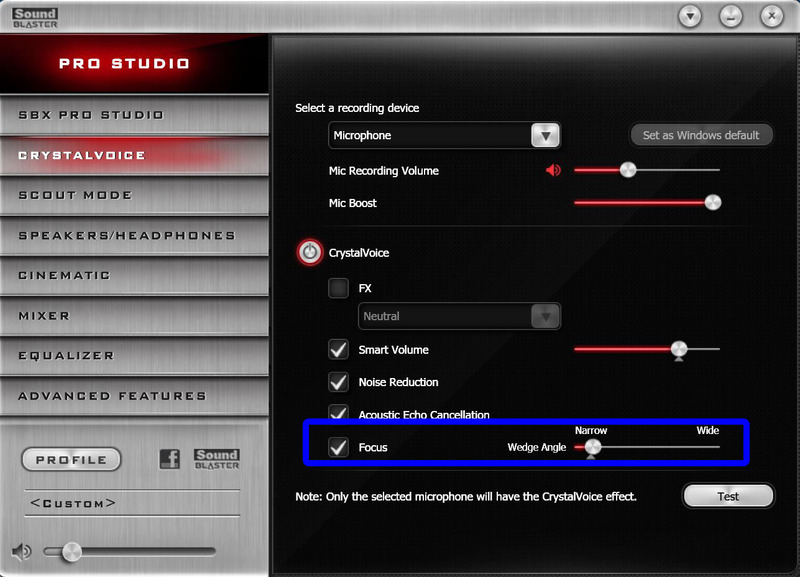 Microphones and speakers need more setup, particularly if you’re not using an integrated solution. You also need to find the desk space for a decent microphone, though I still have a few noise canceling array mics Intel once distributed with their motherboards, which mount atop the monitor. You can always use a webcam mic, too, but those tend to pick up noise from the room. 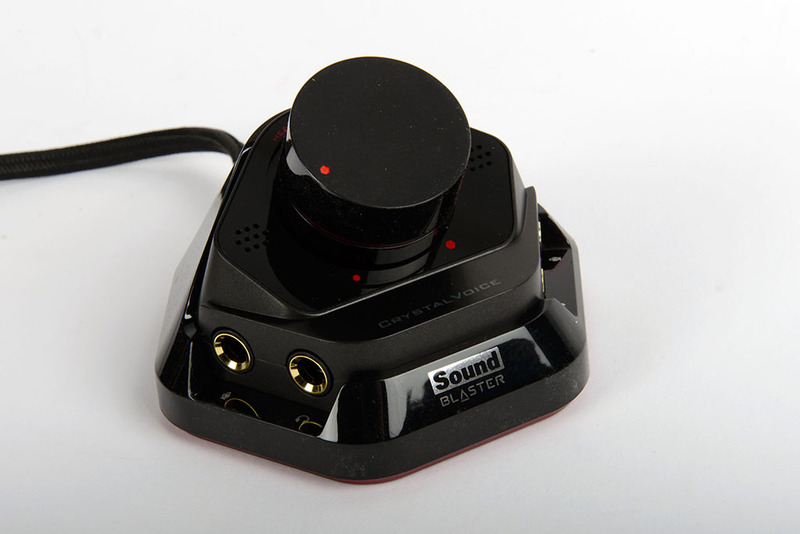 The best solution I’ve found is the integrated microphone built into the Sound Blaster ZX and ZXR control pods. The Sound Blaster Z-series sound cards fixed most of the problems with past Creative Labs sound cards — particularly the drivers, which are now pretty lightweight and stable. The ZX and ZXR models ship with control pods, which have both 1/4-inch and minijack connectors. The giant knob on the pod only controls the gain to the headphones, not the PC system sound. When you need to worry about your game’s sound effects bothering other people, then a headset becomes critical. If I’m gaming during the day when my wife is in her home office in the adjacent room, I’ll pop on a headset. While I’ve used a number of USB headsets, I tend to use analog sets, since I’ve got an excellent sound card in the Sound Blaster ZXR. I’ve got a great wireless USB headset from Corsair that I’ve only used once or twice. Once I ran out of juice while playing a game made me give up the idea of a cordless set. My go-to analog headset for years consisted of a semi-customized Sennheiser PC 350s which shipped with an Asus sound card. I no longer have the sound card, but retained the headset. The PC350s felt quite comfortable for extended sessions, but I never quite warmed up to the sound quality, which is nowhere near the standalone Sennheiser HD598s I own. 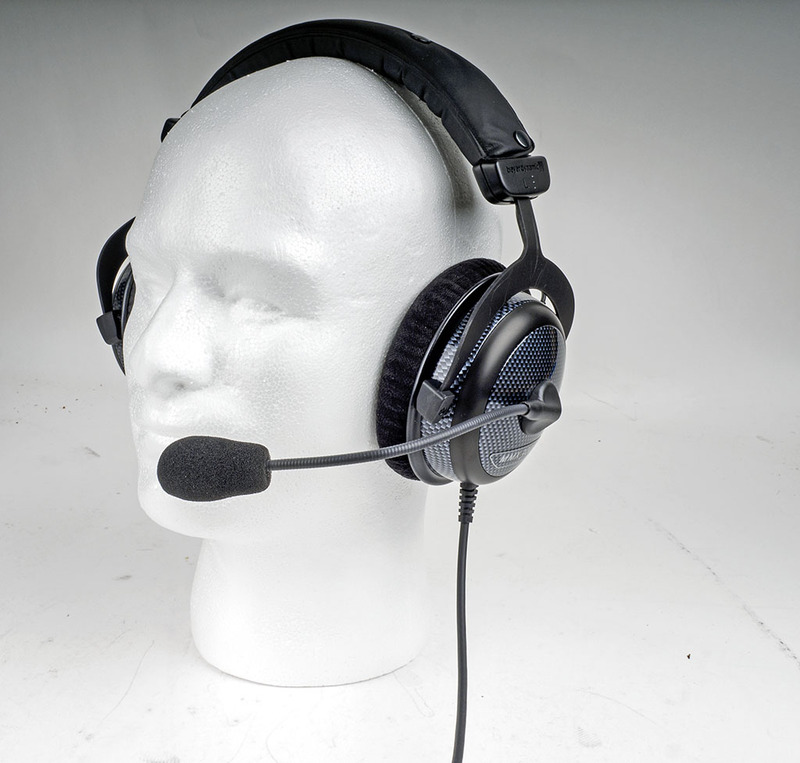 Recently Massdrop, the crowdsource group buying site, posted a drop for Beyerdynamic MMX300 headsets. I liked how my old over-the-ear Beyerdynamic headphones felt, so took a look at what Massdrop offered. The MMX350 best price on Massdrop came in at $350. 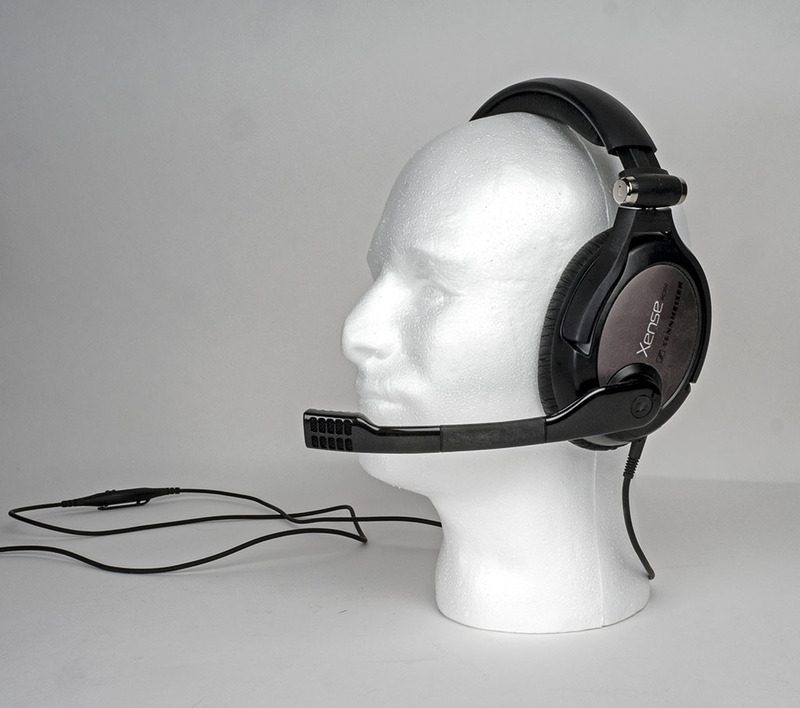 I did a cursory Google search and discovered the same headset — supposedly new — from Buydig.com for $229. So I ordered a pair at that price. When the MMX350s arrived, I first thought that Buydig had sent an open-box, returned model. The MMX350 included one 1/4-inch headphone jack and a 3.5mm mini-jack for the microphone connector. As it turned out, Beyerdynamic deliberately designed them this way. The 1/4-inch jack unscrews to reveal a 3.5mm mini-jack should you need to use it. However, no supporting 1/4-inch adapter shipped with the headset, so I needed to dig one up. Sure, I could have theoretically used the 3.5mm jack on the ZXR control pod, but my minor OCD tendencies rejected that. up to the fidelity of the standalone HiFiMan HE400i headphones, but they still sound pretty damned good. I’ve discovered at least one additional reason to use a headset. David Bryant, occasional co-host on the Improbable Insights podcast, steered me towards the Dolby Axon VoIP application. Axon offers a much simpler user interface, but what it really gives you is positional audio for all the other Axon users, which is pretty cool. However, the positional audio works much better over headphones than with speakers. So what’s your weapon of choice for online comms — headset or mic? Drop in and give me your comments! We have the Sennheiser PC360 headset, an Asus Xonar Essence ST internal sound card, and M-Audio AV40 (2.0) speakers. My son and I are the PC gamers, while the wife a serious hater of all FPS (read Battlefield 4) games. I am disappointed with the ‘surround’ capabilities of the PC360 with the Xonar, which we use when the Boss is home. I never did get a mic to use with the speakers. For our next PC build (early-mid 2017) I’m hoping to get better sound and will look into your recommendations. Keep up the super PC gaming articles…. thanks so much. PS…. Dang, that Trek bike is incredible.. stop showing me cool stuff like that. capabilities, but it’s nothing like having actual 5.1. One issue some people run into with virtual surround is their inability to hear surround effects. Will consider that sound card… I can’t do 5.1 the way WE have this room set up (sigh). Good point about the sound effects. I have a big disadvantage in FPS games having trouble hearing the enemy’s footsteps as he approaches…. for me, the louder sounds cover that up. I can’t believe it, the Xonar Essence ST ‘went away’ again… trying to re-install drivers. If you’re looking at the Sound Blaster Z series, I’d suggest the ZX rather than ZXR. The ZXR needs two slots, and lacks a connector for front panel audio. The ZXR does have a little higher SNR, but my ears can’t tell. Other features are identical, including the nifty desktop knob that doubles as a beam-forming microphone. I currently have a Focusrite Scarlett 2i2 which powers an MXL V67GS condenser microphone. It’s overkill for online gaming, but both were on Massdrop for a very good price.